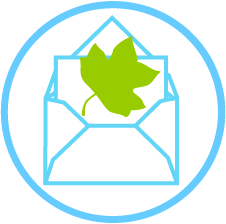 Signup to our mailing list to get the latest Carolinian Canada news and updates! Get our EcoNews, event invitations, participate in on-line conversations, and more. If you previously unsubscribed, please click here to contact us if you would like to re-subscribe. Or, sign up for a Carolinian Canada account, and view your contribution history, participate in on-line discussions, and access more features coming soon! Already on our mailing list? 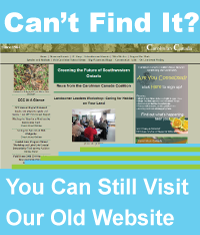 The Carolinian Canada Coalition is using the best technology to help green the future of southwestern Ontario. Sign up to access our new web features. Also, many of our past editions of the EcoNews are available to you online. Have a Carolinian Zone event coming up?